Charge your USB devices without losing a power outlet with this nifty gadget. 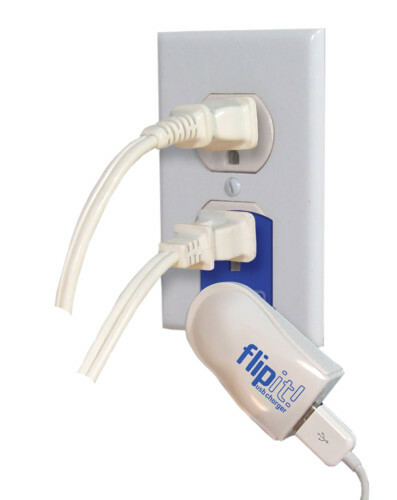 It is called the Ideative PP1009W Flipit and it basically works in a similar way to a multi-socket power adapter except it takes up far less room. 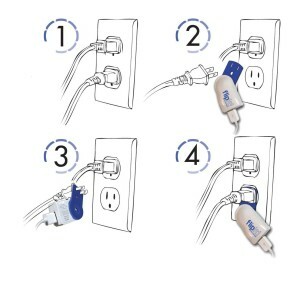 You attach it to whatever you typically have plugged into a power socket it, plug it in and then use it to charge your phone without he original appliance losing power. The pictures show it far more succinctly. 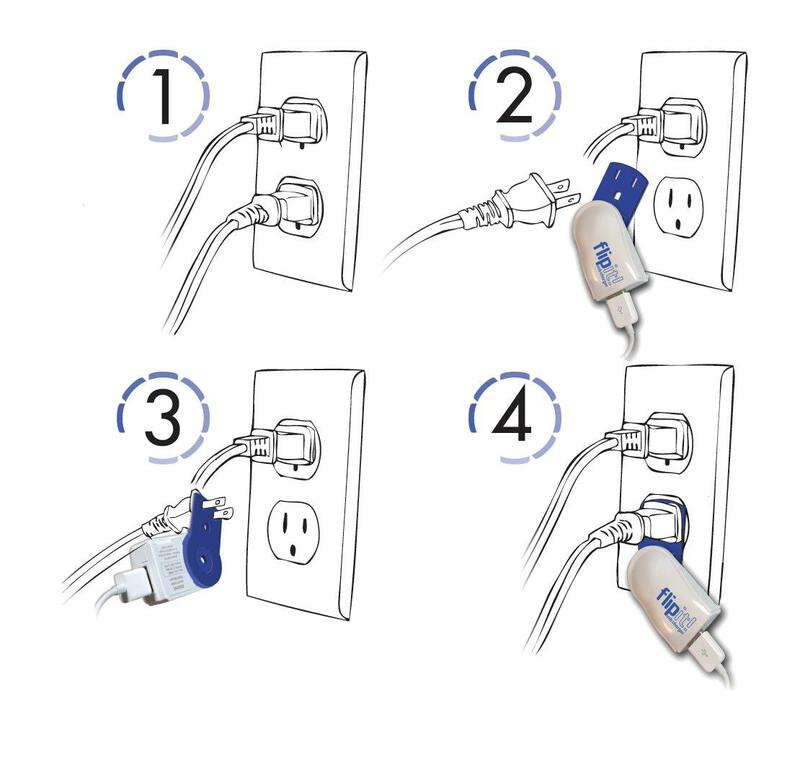 Charge your smartphone or plug in USB devices without taking up a power slot (called a pass through charger). Requires far less room than a multi-socket power adapter. It folds up neatly for when you need to transport it and travel. Small enough to carry in a purse or such. The item rotates on the socket a bit for convenience. Designed for United States power sockets (sorry internationals!). The item itself is definitely a quality item with a clean and sturdy design. It is not something that will be inclined to break easily at all. It has a nice snug fit against the prongs of the power plug yet not so snug as to allow no movement. Basically the item does roughly as you would expect it to, charging phones and the like. There is only one legitimate negative with the item which is that some adapters will not fit well due to their shape. For instance some prongs have size increases toward the start of them so that they cannot fit into this device. Basically in order to draw power it requires quite a snug fit, but the metal width on plugs can occasionally vary. This is not a major issue and the vast majority of adapters will fit it, but it is still something to consider. The second and smaller issue is that there is no indicator on it to show if it is receiving electric current through it. A little tiny LED light on the side showing it was on really would have been nice. Granted if you plug it into anything you are likely to find out soon enough anyway, but it would have been faster if it had some lights showing it was in. A nice device great for powering USB items or charging via a USB port without a computer.